Bio: Travis has completed numerous continuing education courses and certifications. 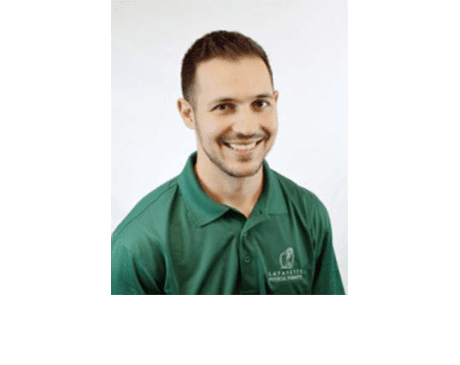 He is also trained in Active Release Therapy (ART), mobilization of the nervous system and spine, lumbar instability, Mulligan Techniques, Myofascial Cupping and is certified in Selective Functional Movement Assessment (SFMA) and Functional Movement Screen (FMS). Travis completed the UCSF Running Course: Clinically Applied Biomechanics, that allows him to perform assessments by analyzing slow-motion video. Training: Doctorate in Physical Therapy (DPT), University of the Pacific. Bachelor of Science (BS) in Kinesiology, San Diego State University. Specialties: Travis particularly enjoys working with individuals of all ages. He has experience who enjoys baseball, golf, track and field, soccer and basketball. He has a strong orthopedic manual therapy background and helps to ensure our youth are not only having fun but are playing safely. He ensures that each patient receives the best quality evidence-based information and care when rehabilitating from injury. Hobbies: Travis enjoys hiking around the Bay Area with his wife, kid and two dogs. When he gets the time, he enjoys basketball, golf or tennis! We are currently preferred providers for the private insurances listed on the right. If you are still interested in seeking service with us and do not see your insurance listed above, please call us to verify. We are preferred providers for many of the major and minor insurance carriers. Our Front Desk would be happy to verify your coverage. Our Office accepts most PPO insurance plans and select HMO plans. However, we do see many patients on an out of network basis. If you require further assistance please contact our knowledgeable Front Desk at (925) 284-6150.